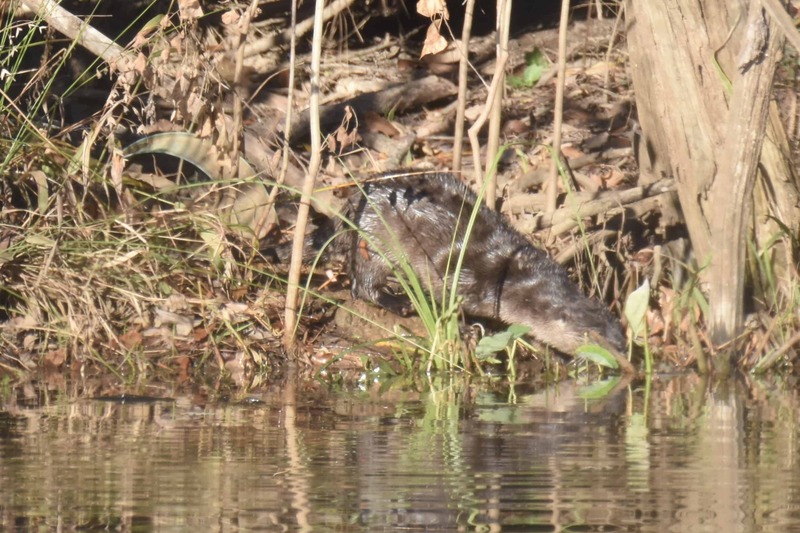 River Otter, Bastrop TX One of the most delightful surprises at Little Piney is the occasional sighting of North American River Otters. They are often seen in the Colorado River near Bastrop, but we aren't near the river. I was able to photograph the River Otter for 15 minutes as he swam and groomed himself on shore.